“Heredity and environment play a role, but what really makes you what you are is Tax Policy!” This whimsical wisdom was offered in a comic in the March 18th issue of Barron’s Financial Weekly newspaper. Tax policy has long been used by many governments to encourage or discourage certain economic and social behaviors. Taxes are a necessary evil; the argument is: Should they be used to change behavior? We believe that taxes can be an important policy tool in areas where there is convincing evidence that the benefits significantly outweigh the costs. A properly constructed tax policy can accomplish two important goals. First, it raises revenues needed to balance budgets and reduce debt. Second, it alters behavior to serve societal goals. In some cases it discourages unhealthy habits and, thereby, minimizes the financial burden on those who may otherwise end up paying the increased costs. Obesity rates in Europe have risen in recent years; they are, however, still below those in the U.S. where more than a third of adults and 17% of children are obese. Obesity increases the likelihood of developing type-2 diabetes, heart disease, high blood pressure, strokes and some cancers. Obesity-related diseases account for approximately $147 billion or almost 10% of U.S. medical spending a year. 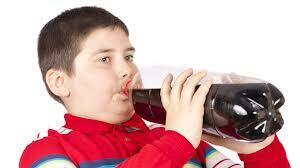 One in twenty people in the U.S. drinks more than 4 cans of soda every day. This is about 8 times what is considered safe. It is certainly reasonable for those who ignore health warnings to be held accountable and pay their share of the medical costs that would otherwise be borne by those taking proper care of themselves. As an aside, not only does the U.S. fail to tax sugary products, we actually protect our sugar growers with price supports. A tax on sugary foods such as soda, would raise revenue for an underfunded health care system and encourage healthy lifestyle changes. What could be a sweeter ending? This entry was posted in Blogs On Current Affairs & Events, Economics, Health Care, Political, Uncategorized and tagged budget deficit, diabetes, heart disease, obesity, soda, sugar, taxes. Bookmark the permalink. 3 Responses to How taxing is it? You make eminent sense,of course,David. But your wife also has a point. Where does this stop. We can all agree on soda and cigarettes etc but who will be in charge of developing the list of excesses to be taxed going forward. Just makes me uneasy. No doubt you will have a logical answer for this ,David, but my concern is that we are turning in to a nation of ninnies where “government”(big brother) determines what is good and bad for us and manipulates tax and other policies accordingly. Some disturbing implications to my mind. You have a valid point, Geoff; this should not be necessary. What my good wife calls “creating a slippery slope.” However, I think it is obvious that many people need someone disciplining them for they can’t do it themselves – 8 sodas a day! Everyone else ends up paying for their excesses. Look at it as a user fee – engage in unhealthy habits and pay a price. Doesn’t mean you have to give up the habit just pay your fair share of the costs incurred.